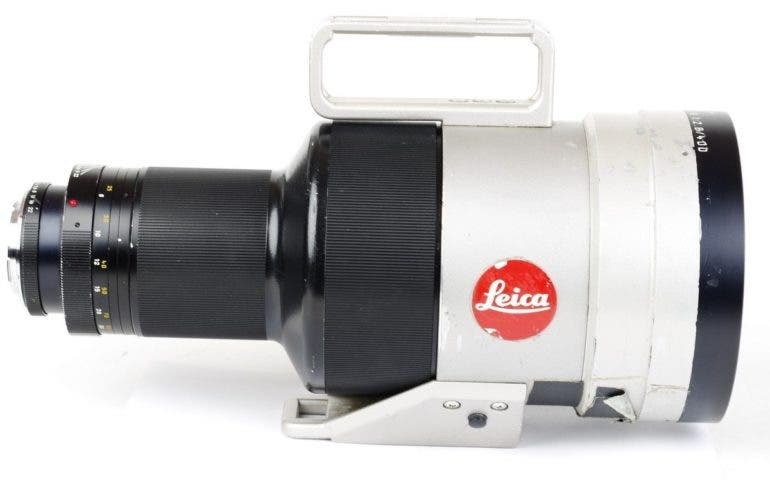 Heads up Leica fans, we’ve got another treat for you! 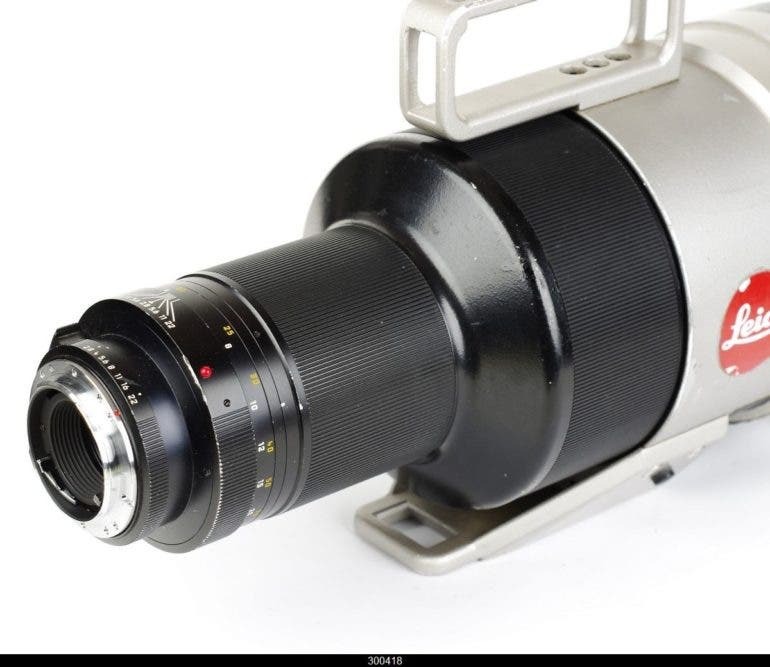 If you’ve ever dreamed of grabbing one of those APO Telyt lenses for your Leica R SLR cameras, you’re in luck. 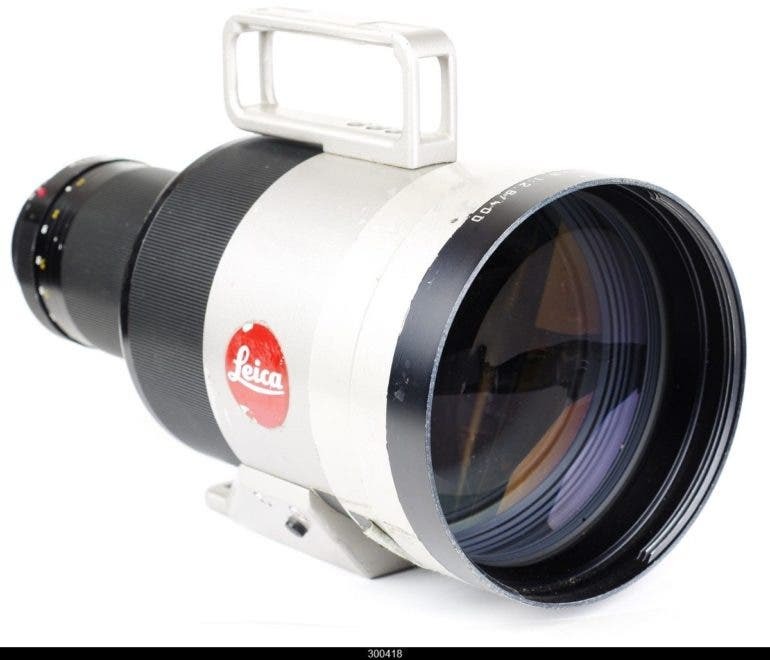 Our latest ebay find is a Leica Apo Telyt-R f2.8 400mm Focus Module, a manual focus telephoto lens that, as its name suggests, comes in a modular system that is both unusual and really cool. 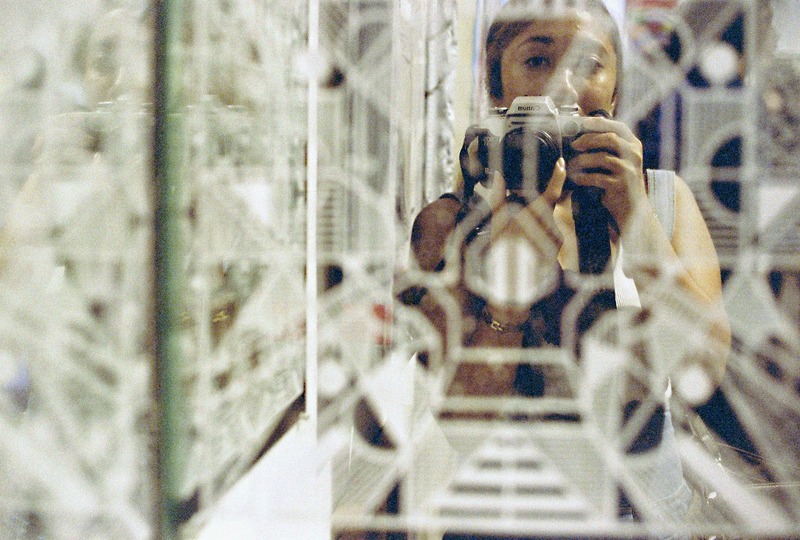 Anything that is both really cool and a Leica is bound to come with a hefty price tag; for this one, it’s $7,000. Poland-based seller foto-hobby24.eu describes this item as in good condition, with minimal signs of use and very minimal visible signs from cleaning. The glass is clean with no scratches, no fungus, no separation, and no haze. Probably looks a little scuffed cosmetically, but also still usable. At a buy it now price of $7,000, that’s most likely the best you can get, since the other cosmetically excellent model in a complete package for sale will set you up close to $12,000. As with our recent ebay finds, no other info about this lens was mentioned apart from what’s above, so we had to once again do some sleuthing around. 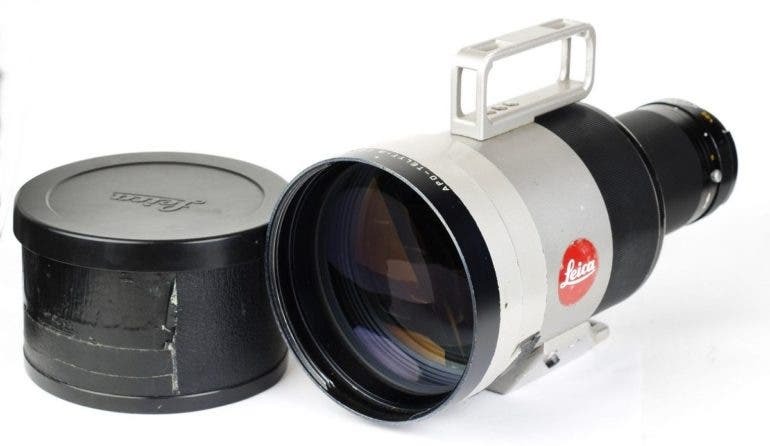 The search landed us on an ApoTelyt.com page dedicated to the Leica Apo Telyt-R Module System, which says the lenses are manual focus telephoto lenses made for the Leica-R SLR cameras from 1996 to 2009. 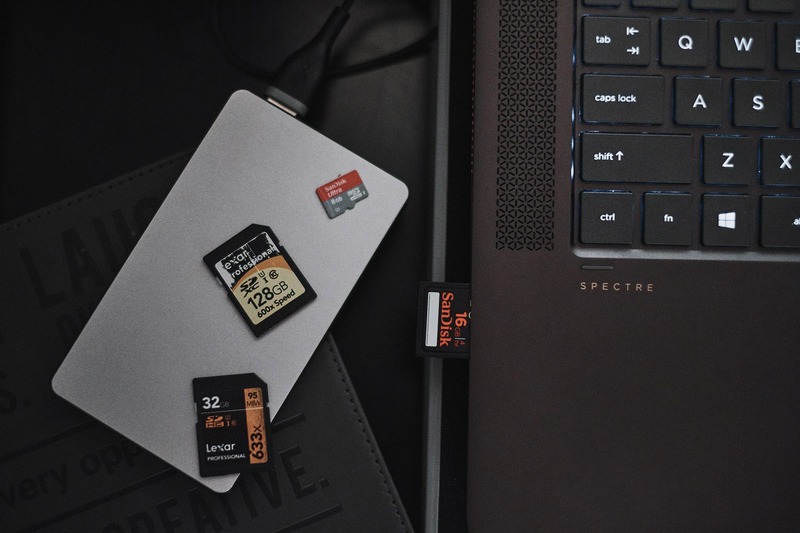 They are also equipped with apochromatic lens elements (but some of you have probably figured that out from the name alone) that corrected chromatic and spherical aberration. 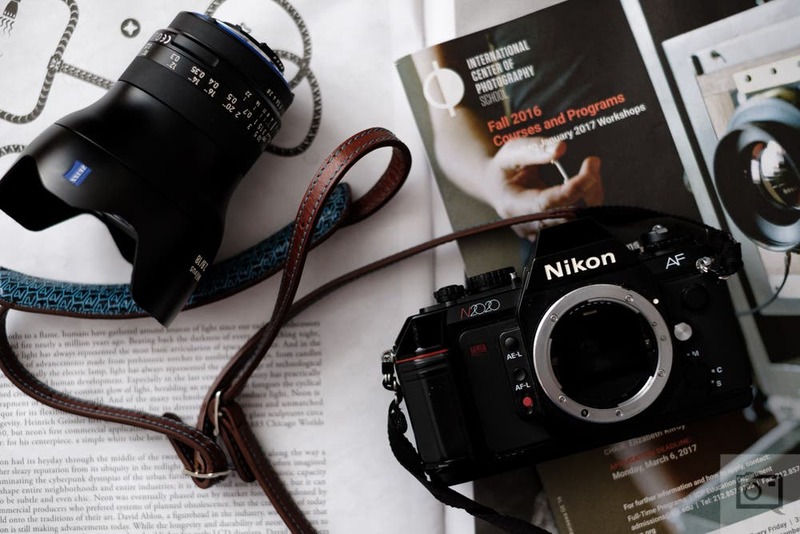 With the unusual modular system, there are three focusing units and two heads that can be put together to get six different lenses with four focal lengths: 280mm, 400mm, 560mm, and 800mm. A locking bayonet mechanism attaches the heads and focusing units together. How cool is that? 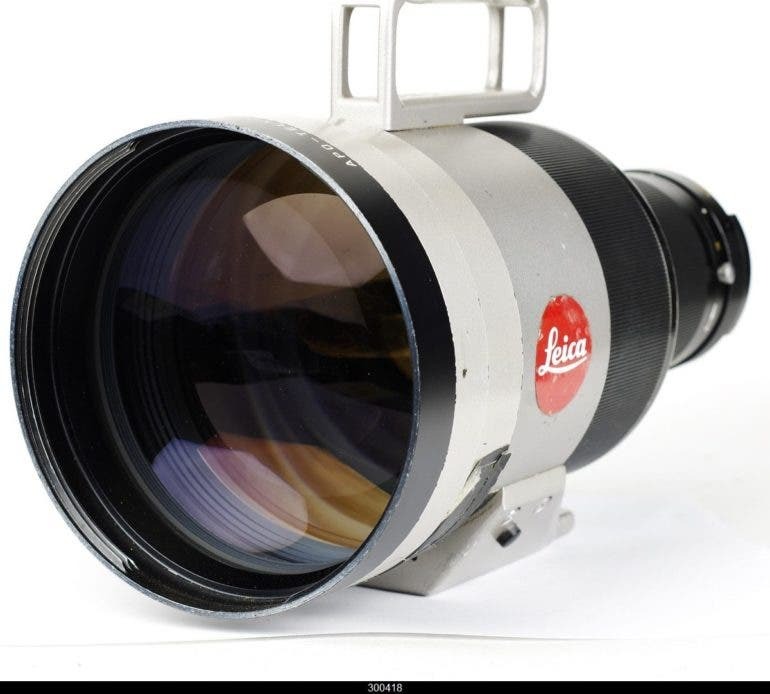 If you’re ready and raring to pair this Leica Apo Telyt-R f2.8 400mm Focus Module lens with your Leica R camera, go straight to the ebay listing to buy it now for $7,000 or make your best offer.